For many weeks much of the mainstream media world-wide, including broadcasters, been warning of potential concessions in the negotiations between the US and North Korea andbetween Donald Trump and Vladimir Putin, lest vital interests of the west are compromised. 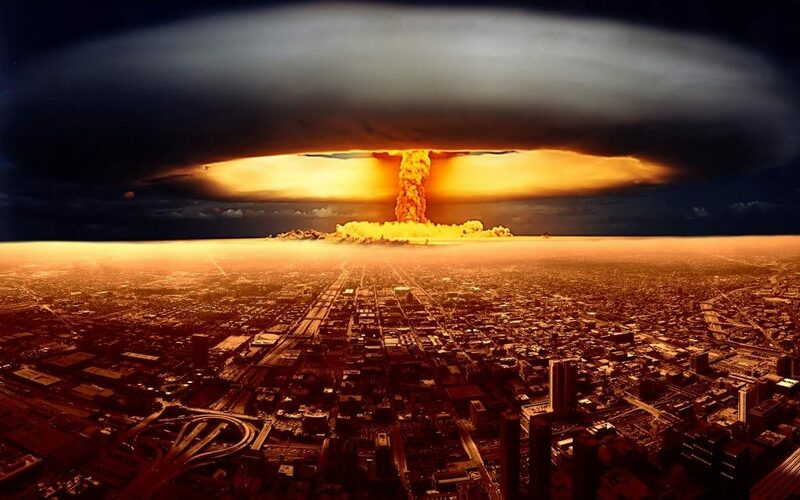 In the process little has been said about the alternative for such negotiations and potential agreements, namely a nuclear holocaust on a regional to a global scale, with consequences that belong to the unthinkable (https://thebulletin.org/2010/03/the-climatic-consequences-of-nuclear-war/ ; https://www.forbes.com/sites/davidbressan/2017/08/12/even-a-small-nuclear-war-would-still-have-effects-on-global-scale/#5fbd4b75507d; http://www.nucleardarkness.org/warconsequences/hundredfiftytonessmoke/). In this context, a picture is emerging regarding the priorities of the US President: On the one hand he tends to favor authoritarian undemocratic leaders and regimes; on the other hand he may wish to form a pact with Russia, avoiding a suicidal nuclear war. 2600 U.S. and Russian strategic nuclear weapons on high-alert are launched, in 2 to 3 minutes, at targets in the U.S., Europe and Russia and other targets considered to have strategic value.Some fraction of the remaining 7600 deployed and operational U.S. and Russian strategic nuclear warheads/weapons are also launched and detonated in retaliation for the initial attacks. Hundreds of large cities in the U.S., Europe and Russia are engulfed in massive firestorms which burn urban areas of tens or hundreds of thousands of square miles/kilometers.150 million tons of smoke from nuclear fires rises above cloud level, into the stratosphere, where it quickly spreads around the world and forms a dense stratospheric cloud layer. The smoke will remain there for many years to block and absorb sunlight. Average global precipitation would be reduced by 45% due to the prolonged cold.Growing seasons would be virtually eliminated for many years.